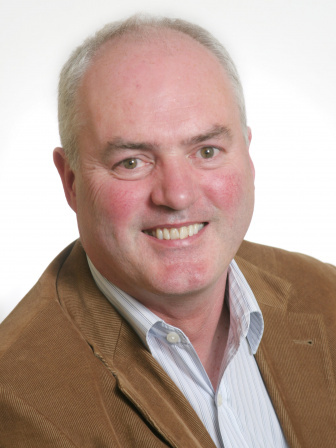 Frank Barry is Professor of Cellular Therapy and Director of the National Centre for Biomedical Engineering Science at the National University of Ireland Galway. He is also Scientific Director of the Regenerative Medicine Institute (REMEDI), a multidisciplinary research initiative developing innovative biological solutions for arthritis and joint injury. REMEDI has developed a number of approaches involving stem cell transplantation to the joint for the treatment of acute injury and osteoarthritis, gene therapy strategies for rheumatoid arthritis, functionalization of metal and polymer implants to promote osteointegration and development of novel scaffold-based tissue engineering constructs for cartilage repair. Frank Barry has worked in research posts at the Kennedy Institute for Rheumatology, London UK, Shriners Hospitals for Children, Tampa FL, The University of South Florida, and Osiris Theraoeutics, Baltimore MD. He is also founder and Chief Scientific Officer of Orbsen Therapeutics, a cellular therapeutics company based in Ireland. He is the 2012 recipient of the Marshall R. Urist MD award from the Orthopaedic Research Society for Excellence in Tissue Regeneration Research.